A cityscape of smoking chimneys. Streets brimming with life, as the upper classes take to the zoo for a day out with the family. None of these evocative scenes could unfold their full impact on the player without the proper musical accompaniment. 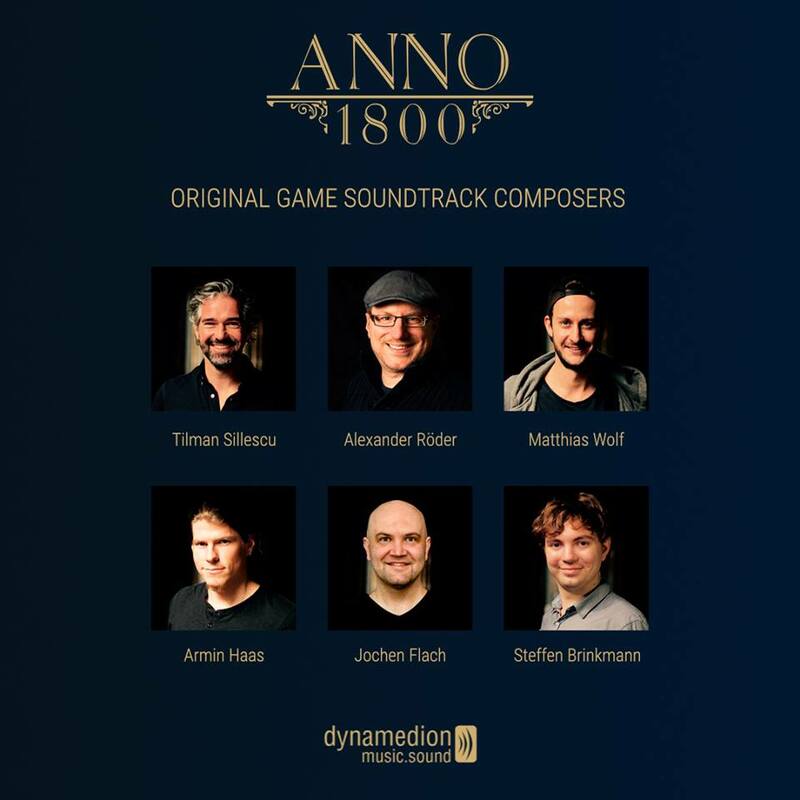 Orchestral soundtracks have always been a key part of the Anno experience, and this is no different for Anno 1800. 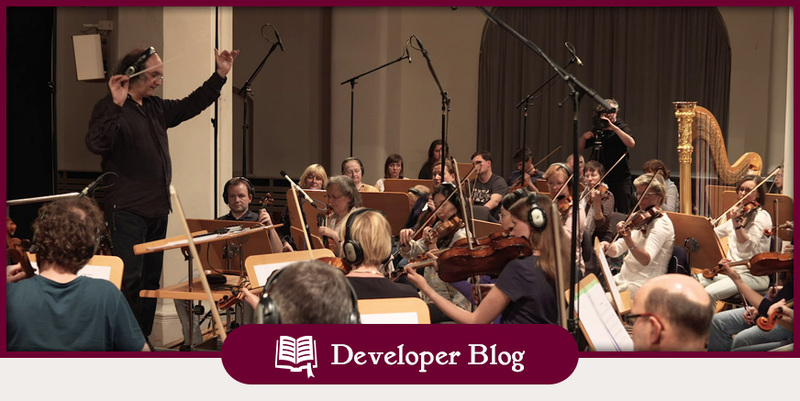 So join us on a journey intot he creation of Anno 1800’s grand soundscapes. If all of the above has put you into the right mood to light candles and to dust off your old record player, we have some great news for you! 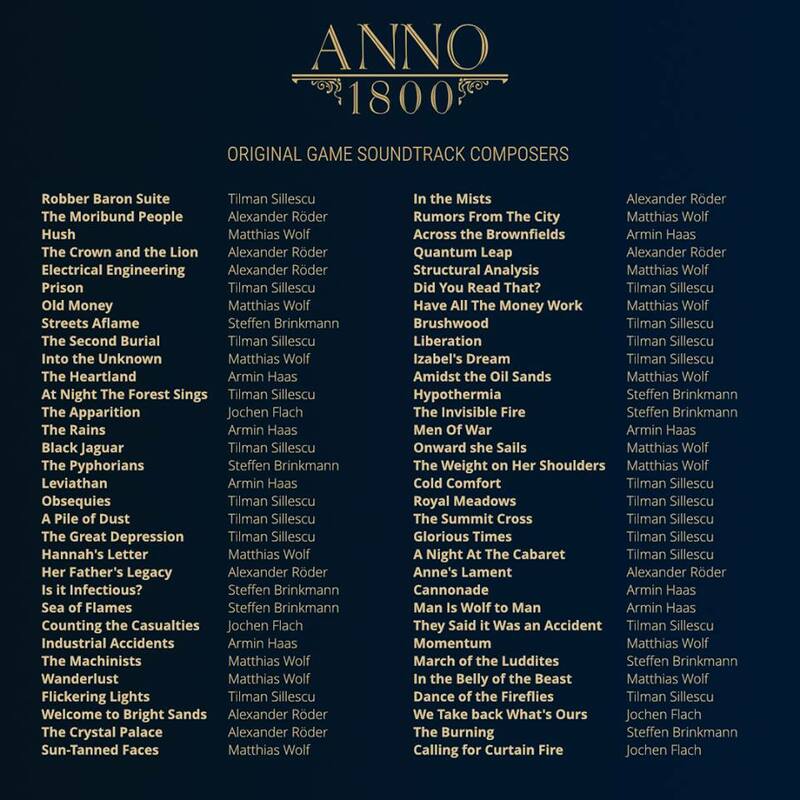 We have created a limited vinyl edition of the Anno 1800 soundtrack in partnership with Black Screen Records! If you want to call one of these precious records your own, you get still get them here. Alternatively, you can also enjoy the full digital soundtrack on spotify! One of the most frequently asked questions over the past weeks and months has been what kind of post-launch content and support players could expect from Anno 1800. 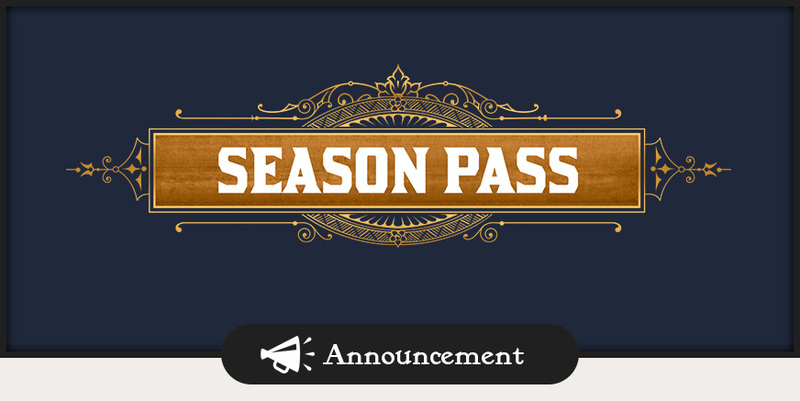 Today, we are happy to answer some of those questions, as we announce our Season Pass, which consists of three DLCs (which will also be available separately) that we plan to release throughout 2019. We are also giving you a first glimpse at our free content plans, and detail how you can upgrade your standard edition of the game to the Digital Deluxe Edition to secure the Anarchist character that we will release in the coming months. 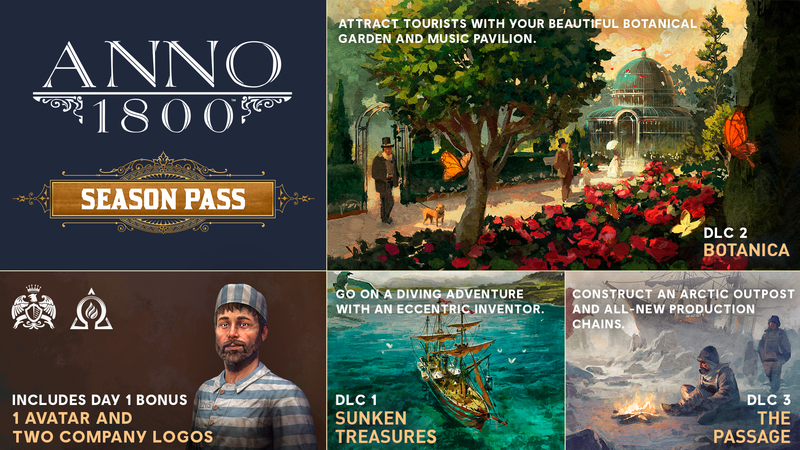 Let’s start with the biggest news: We are announcing the Anno 1800 Season Pass, which will give players access to three big content drops that we will be releasing throughout the year. Our goal with these DLCs is to offer a variety of content that expands on all the new features and systems of Anno 1800. This includes some new additions that the community has been asking for or speculating about. So let us a first teasing look at what to expect when you buy the Season Pass. Expand your island with a new European session and large continental island, as you join an eccentric inventor and his diving bell on a treasure hunt. Grow your city’s attractiveness to new heights with a modular Botanical Garden, allowing you to earn new items and rewards as you draw the tourist masses to your floral masterpiece. Alternatively, construct the new Musical Pavilion and enjoy beloved tracks from previous Anno games inside your city. The Passage will take you on a new adventure to the Arctic Circle as you explore the legendary Northwest Passage. To succeed in this merciless climate, you will need to construct an arctic outpost and master all-new production chains and goods. Buyers of the Season Pass will also immediately receive three cosmetic customization items that you can use to customize your game profile for multiplayer: the prisoner portrait, and two exclusive company logos (“Promethean Fire” and “Eagle Crest”). 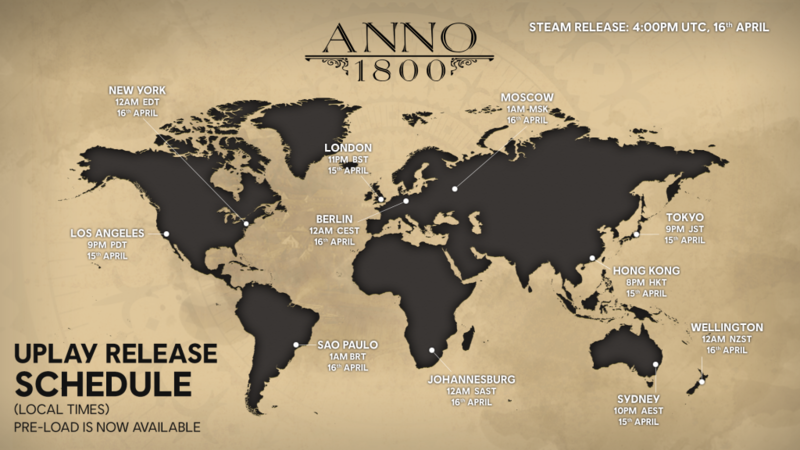 The Anno 1800 Season Pass is now available for digital purchase and is priced at 24,99$/€. Another question that has frequently popped up is how players who have bought the standard edition of Anno 1800 could get access to the Anarchist character when it is released. This is now possible, thanks to our Digital Deluxe Edition upgrade, which you can now buy to upgrade your version of the game. Also, to avoid any confusion: The Anarchist is only available as part of the Digital Deluxe Edition, the Digital Deluxe Edition Upgrade and the Pioneers Edition. It is not part of the Season Pass (see above for details on what is included in the Season Pass). So, who is the Anarchist, exactly? In game terms, the Anarchist is a new NPC opponent you can select to play against, including his own unique set of quests and rewards for the player to tackle. And while we don’t want to spoil too much, we can safely say that he will bring a very flavorful and unique playstyle to the game, with his own set of behavioral rules that mirror his views on politics and society. Did someone say Free Content? As you can see from the above, we do have some big plans to support Anno 1800 and to make sure it stays exciting and fresh for our Annoholics. 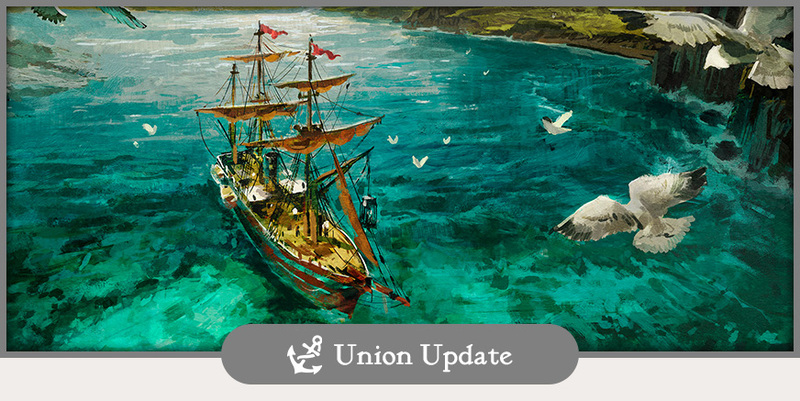 To this end, we are also planning to deliver regular Game Updates that will be free for all players of Anno 1800. 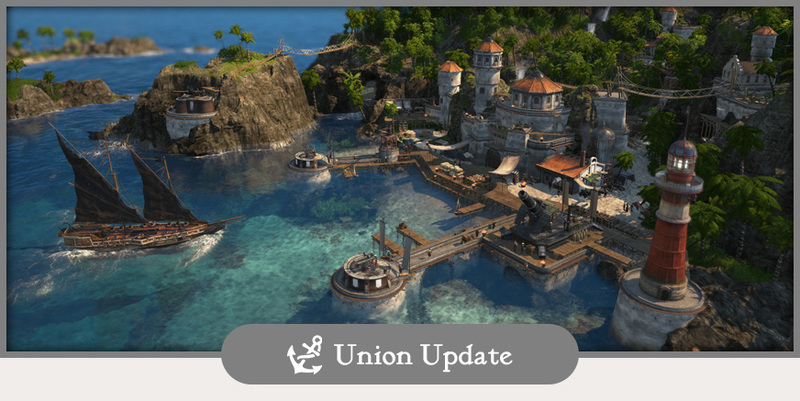 Those will not only include bug fixes and ongoing balancing, but will also include all-new game content- some of which is a direct result of your feedback here on the Anno Union. So let’s see what’s in store (Note: We can’t promise any dates when this content will hit, so the below order does not necessarily reflect how it will be released). One request we have seen from many of the more experienced Anno players that love to go all in on the min-maxing is to have more information about their production chains and their output available. To provide you this information, we will be introducing a new statistics building in the future. 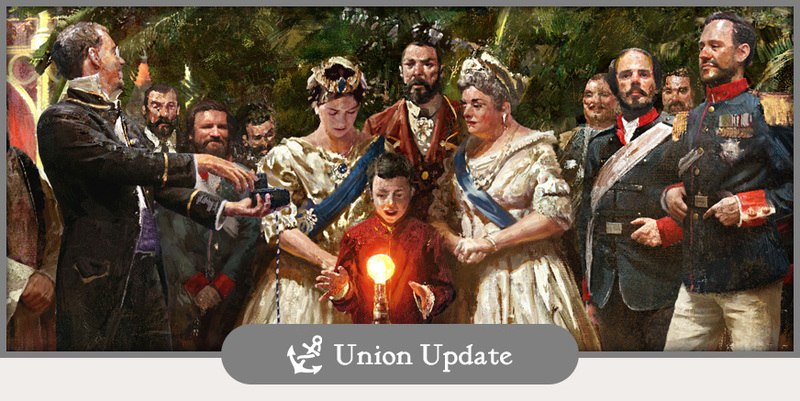 We will be giving the Anno Community regular challenges that will require all of you to come together to reach a shared goal. Doing so will unlock new cosmetic customization options like company icons or even skins for all participants. Go Anno union! And that’s it for today! We know that you are all busy enjoying Anno 1800 as it currently stands, but we hope you enjoyed this first glimpse of what we have planned for you in the future. Today we are short on text, but have lots of videos to entertain you in-between those lengthy Open Beta sessions this weekend. But first- your chance to win something! 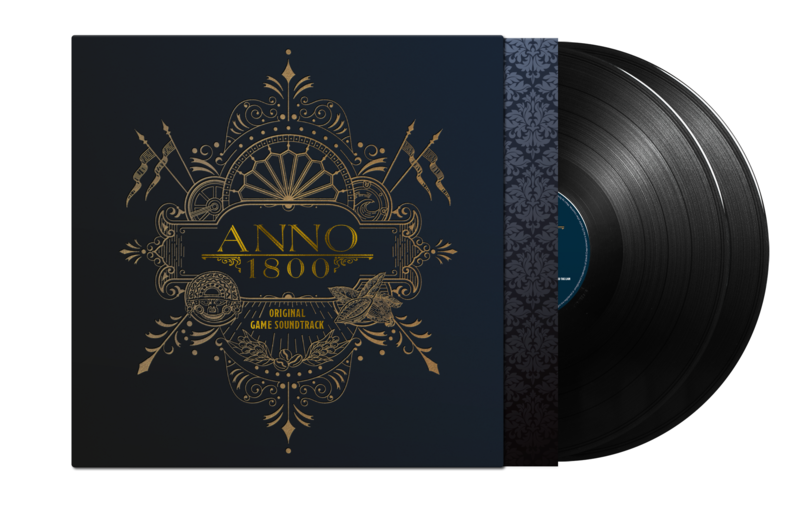 As announced during yesterday’s AnnoCast twitch stream, we are giving away one of the limited Anno 1800 Vinyl Soundtracks from our friends at Blackscreen Records (which we will happily sign if requested by the winner). We also have one runner-up prize, which is a signed Anno 1800 t-shirt. To claim this piece of Anno history for yourself, you have to get creative, and perhaps even a bit crazy. In short: We want you to show us your love for the Anno series. The more inventive, the better! Whether you create a music video or record an audio play, we want to see you express your creativity as it relates to Anno. Show us your creations in this forum thread here, and make sure to use the hastag #Annophony if you want to share them with the world on twitter. You can submit your content until 11:59pm UTC on Friday April 26. With only 4 more days to go until the big day, we have released a new trailer for you all to enjoy, including some of the accolades Anno 1800 has received from press so far. 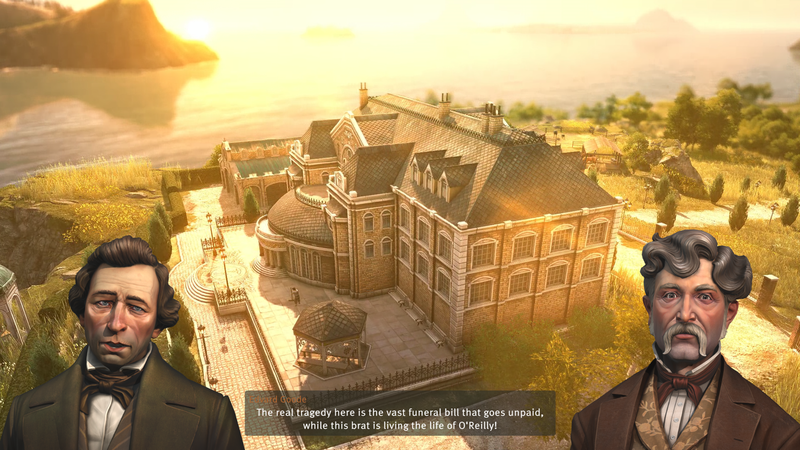 Our colleagues at Ubisoft US have challenged four popular strategy gaming influencers to see which one of them would make the best 19th century island governor. We hope that our contestants provided you with some inspirations for our own Anno 1800 adventures! Check back next week for part two of the challenge, as they race to be the first player to reach the New World! 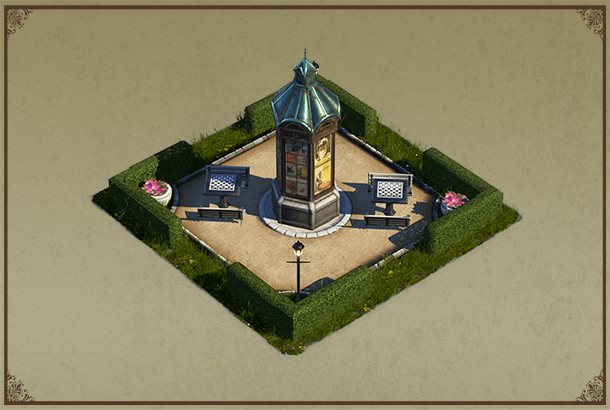 Don’t forget to play the Anno 1800 Open beta this weekend to claim your chess table ornament for the full version. The Open Beta is available to everyone via Uplay and the Epic Games store. Welcome to the second half of the 19th century: fading aristocracy tries to tighten its iron grip on the population while the power of progress sparks a flame that will eventually engulf and change the entire world. It is a time of ever expanding cities, black sooted factories hungry to fuel the revolution of the machines, but also of the crumbling shackles of old ideologies. Inspired by classic tales such as the Count of Monte Cristo, here is a tragic tale of a family in ruin. It will be up to you to clear the name of your father’s business and to bring righteous judgement to the malevolent forces responsible. 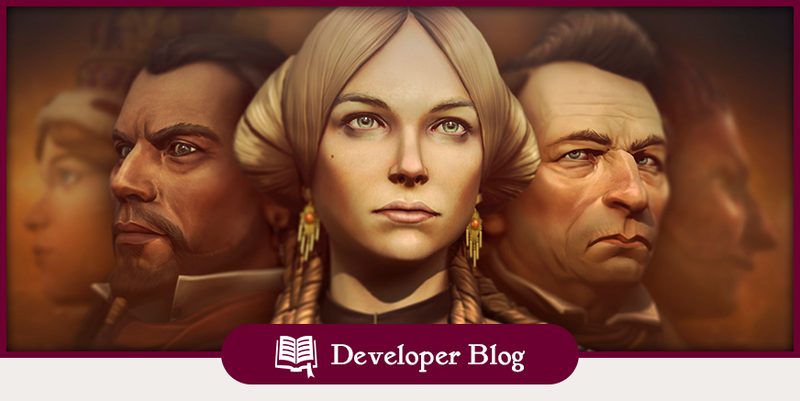 In today’s DevBlog, we will give you a glimpse at the story and content you will be able to experience in Anno 1800’s campaign. As most of you want to experience the tale of a family rising from the ashes on your own, this blog will be very light on spoilers and should be considered as more of a teaser for what is to come. 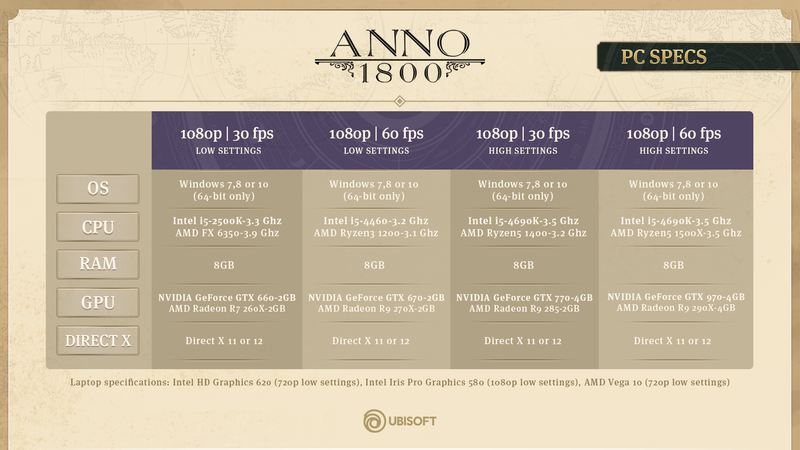 We also give you some general information about how the narrative campaign is embedded into Anno 1800’s sandbox gameplay. 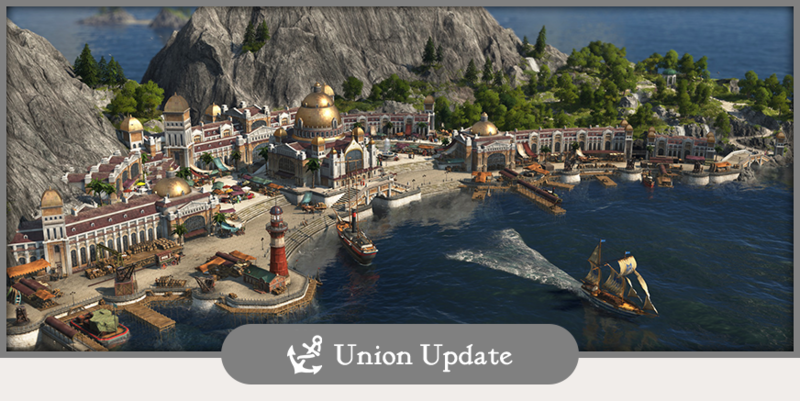 While the sandbox experience in Anno 1800 is a customizable playground offering hundreds of hours of gameplay, the campaign is often the first entry port of call in Anno games, welcoming new players and old veterans alike into a new setting. Over the span of our four campaign chapters, you will not only learn the fundamentals about the core and advanced gameplay mechanics, but we will also transport you to a long bygone era of social unrest and scientific progress. And there is no need to constantly start over, as the entire campaign will unfold over one game during which you keep growing and expanding your empire. To ensure that you can keep playing in this world for as long as you want, the campaign turns into a sandbox game once you finish the final mission of chapter 4. 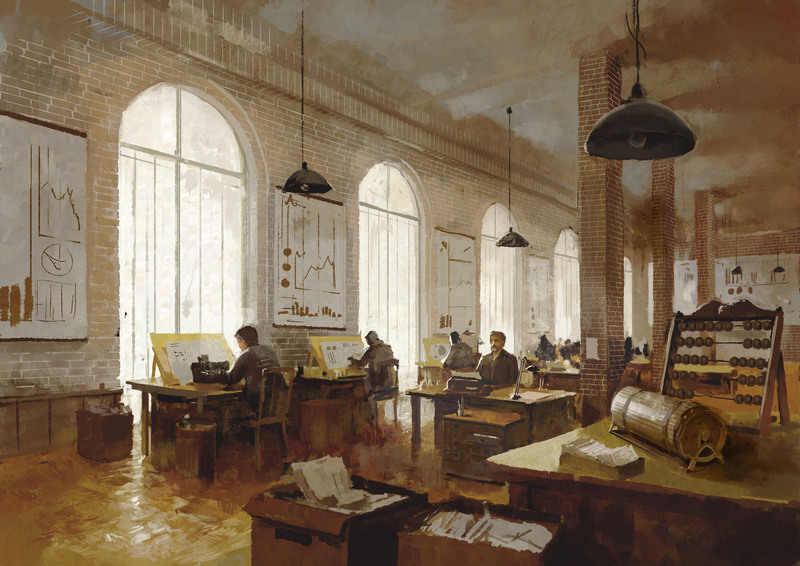 When playing the campaign, a few key parts of the natural progression of your city will be unlocked via specific story beats, which let you experience and influence important events, such as leading your city into the industrial revolution. This allows us to intertwine the progression of your city with important moments in the sandbox gameplay. Player freedom is a key goal of Anno 1800, so we want you to be able to play the game how you want, while enjoying a riveting story on top. That includes two campaign-specific expeditions, fully voiced cutscenes, unique voice lines for some of the Sandbox NPCs and more. And then there is the newspaper, acting as a family album of sorts that memorizes important milestones of your story in special issues. In Anno 1800, you relive the story of a family in the 19th century, in a dramatic tale about tragic loss, revenge and a legacy waiting to be reclaimed. After you are stripped of your inheritance, it is up to you to restart from the ground up with the support of your sister Hannah and your trusted companion Aarhant. Soon enough, the open questions about your father’s death pile up. Did you malicious uncle Edvard have a hand in his demise? Or is he himself a mere puppet for a yet unseen master? This story unfolds against the backdrop of a tumultuous time, as old monarchy and new money struggle to control the industrial revolution. 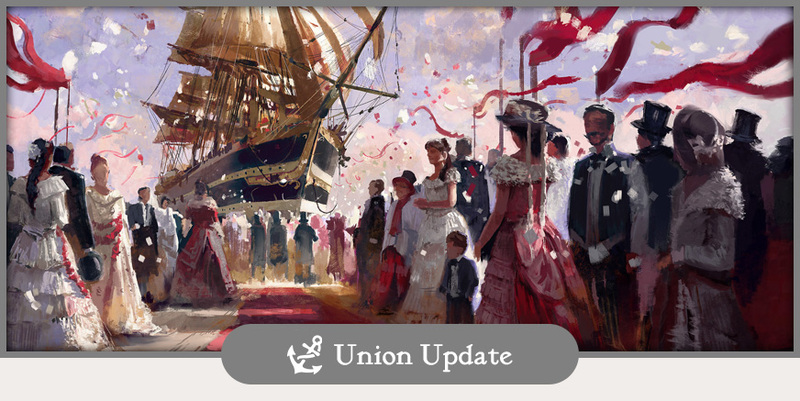 Over the course of the campaigns four chapters, you will also learn more about the background stories of many of Anno 1800’s NPC characters, adding an additional layer to our 19th century lore. 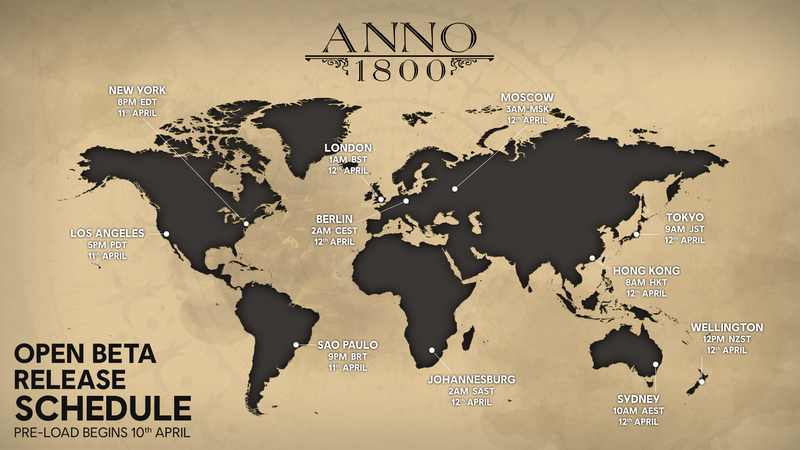 Annoholics, we’re live here at EGX Rezzed in London, where you are able to play Anno 1800 shortly before launch. Come and visit us at our booth. We won’t bite! It’s been a pleasure so far and we are looking forward to meet you guys. If you are not able to be in London in person don’t worry! We will stream this afternoon and you are welcome to join us online! 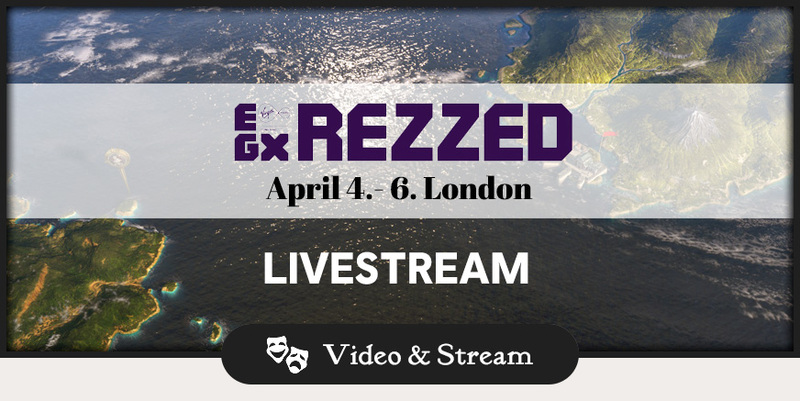 Watch the Anno 1800 panel from EGX Rezzed in London LIVE at 5pm CET/ 4pm GMT.